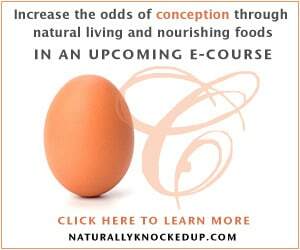 Notes/Disclaimer: Click here to learn more on fertility e-course. All images are courtesy of Donielle Baker. Links to fertility e-course are affiliate links; gfe will earn a small affiliate fee if a reader signs up for the course. However, I’m linking to Donielle’s course because I think it’s valuable and I want folks to know about the connection between celiac/gluten issues and infertility, as well as other gynecological/obstetric issues. “I’ve seen this course on other websites, but while they all made it seem really interesting, none really played up the connection between gluten and endometriosis. If you’ve never heard of or visited Donielle Baker’s blog, Naturally Knocked Up, you might be a bit taken aback by the name. Truthfully, I was at first. (I confess that I’m a bit “old school” when it comes to some stuff.) But Donielle’s blog name grabs your attention for sure. In fact, I followed her link on one of Amy’s (Simply Sugar & Gluten-Free) Slightly Indulgent Tuesday roundups just because I was curious about it. 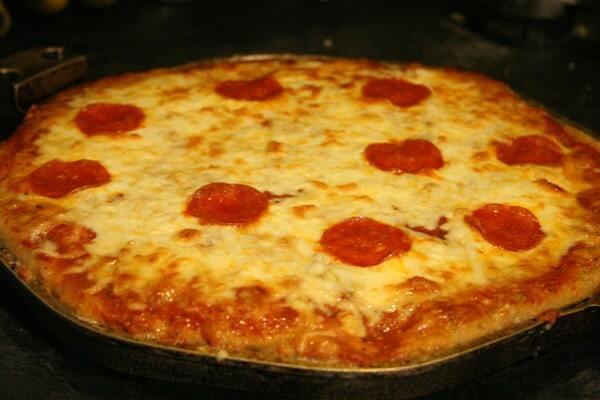 Donielle had shared a gluten-free recipe. 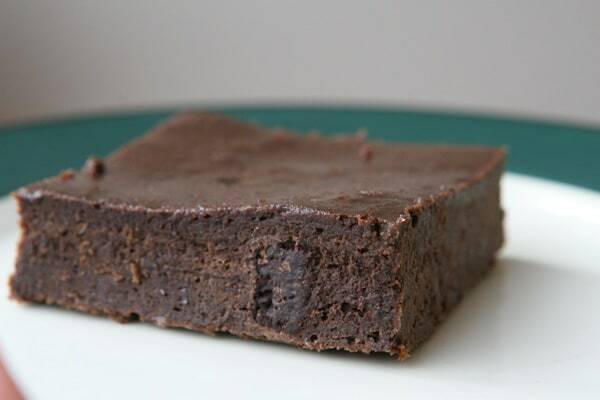 (You’ll actually find many gluten-free recipes on her site, like Gluten-Free Pizza and Healthy Grain-Free Brownies.) I subscribed to her blog on the spot and have been following it ever since. Elisabeth Hasselbeck, who has celiac (and is the author of the The GFree Diet, a sometimes controversial book for its inconsistent guidance on the why’s and how’s of eating gluten fre), spoke about her own infertility prior to going gluten free when she appeared in the brief celiac segment on The Dr. Oz Show back in December with Dr. Peter Green (Celiac Disease Center at Columbia University). Since Hasselbeck was diagnosed with celiac and began eating gluten free, she’s had three healthy pregnancies and three beautiful children. Donielle has graciously donated a full scholarship for one gfe reader to her new Fertility e-Course. When I inquired on the content, Donielle told me that she includes some of the gluten-related issues that can contribute to infertility in her course. You can take a sneak peek at the course overview here and also read the FAQs. The class is 12 weeks long and is a $96 value, but I’m sure the lessons learned could prove far more valuable than that. As I celebrate my own upcoming birthday this week, it seems especially fitting to share Donielle’s information and offer this scholarship. If you’d like a chance at this scholarship for the Fertility e-Course, please enter as shown below. Important: This is a quick turnaround giveaway as Donielle’s class begins this Friday, July 16, so the scholarship “giveaway” will end on Thursday, July 15, at 4:00 pm Eastern. All entries will be tracked by the individual comments, so you must enter a separate comment to get an additional entry; e.g., “I tweeted!” and another comment, “I posted on Facebook. Here’s the link: …” If you leave one comment showing you did all these things, unfortunately it will only be counted as one entry, so please remember to note each by separate entries. 1. Leave a comment below. 2. “Like” my Facebook page and leave a comment. 3. Subscribe to my feed either via RSS or e-mail, and leave a comment. 4. Follow me on Twitter and leave a comment. 5. Become a friend on Facebook and leave a comment. 6. Tweet about the scholarship, sharing the link and leave a comment saying that you did. 7. Post a message on your Facebook page about the scholarship, and leave a comment saying that you did. 8. Post about the scholarship, on your blog and leave a comment saying that you did, with your link. 9. Follow Donielle Baker on Twitter, and leave a comment. Last, if you’re someone who experienced infertility or other related complications that were resolved after going gluten free, I would appreciate it if you would share that information in the comments area. We were blessed with Son and while I did not have fertility issues, I did have other gynecological/obstetric issues that have been linked to celiac/gluten intolerance. My issues in that category included menorrhagia and a subsequent abdominal hysterectomy to resolve that issue (which revealed endometriosis); postpartum depression; anemia during pregnancy (a double dosage of prenatal vitamins for me! ); and horrid hormonal issues after my hysterectomy. Hormone replacement therapy could not touch those post hysterectomy/instant menopause symptoms. My gynecologist who is also a functional medicine doctor and now well versed in the effects of gluten says that menopause (natural or surgical) is often the “tipping point” for women who have suffered with undiagnosed celiac/gluten intolerance. That was certainly the case for me. I’d struggled with numerous symptoms, illnesses, and conditions throughout my life, but the effects of the surgical menopause put me in the “must find the answer to my problems,” mode. Thankfully, I found my aforementioned gynecologist. At the time, he was only beginning his own education on gluten. However, he referred me to my functional medicine doctor who has celiac herself, and the rest as the saying goes is truly history. That was 7 years ago (as I discussed in this recent post) and I’m truly thankful that I found out about my gluten issues every single day. The symptoms of celiac and gluten issues are so varied and so individual that we all must keep spreading the word so we can help others avoid the issues we’ve experienced. For other symptoms and conditions related to celiac and non-celiac gluten issues, please take a look at 20 Reasons You Should Get Tested for Gluten Issues (pdf) and Top 20 Things You Should Know About Gluten (pdf) by Ron Hoggan, Ed.D. (Both files are permanently located on my sidebar under gfe’s tip sheets.) Infertility has certainly been one serious and heartbreaking issue for many. How truly wonderful that Donielle is using the knowledge she has gained to help others in this fertility e-course! Not just gf, but gfe! i followed donielle on twitter! I’ve seen this course on other websites, but while they all made it seem really interesting, none really played up the connection between gluten and endometriosis. Anyway, I’d love an entry into the giveaway! Thanks! Hi Leah–Good to see you at gfe again! (For a moment there, I thought you were a newbie!) I don’t think that this info is a huge part of Donielle’s class and to be honest, IMHO, promoting that info could potentially turn folks away from this valuable class. So many think gluten issues don’t apply to them or that gluten free is way too hard. Of course, the reality is that gluten issues are very common, but way underdiagnosed and eating gluten free doesn’t have to be difficult at all. It’s just different. I think my gfe approach makes it easy as the meaning implies. I’m thrilled to hear of how great you feel gluten free! My doctor definitely affirms the gluten connection to endo and I’ve seen it addressed in numerous forums online, but admittedly it doesn’t get much publicity. That’s a shame. I still wonder if I could have avoided my endo and hysterectomy by going gluten free sooner. Thanks so much for taking the time to comment and best of luck in the giveaway! I just stumbled across Naturally Knocked Up last week & was amazed at the prospect of becoming even healthier … unfortunately its currently not in the budget to pay in full for her class. I’d love to be able to attend via this giveaway! Hi Julie R.–Welcome to gfe! Thanks so much for all the connections/entries. 🙂 I love Donielle’s real food approach as well as other info she shares. Best of luck to you on the scholarship giveaway! I followed Donielle on Twitter too! I already subscribe to gfe by RSS in my Google reader. And I just found/followed you on twitter! Fascinating info. I have had lots of problems with infertility and other gyn yuckiness all of my life. I just found out that I am gluten and lactose intolerant last year…I never imagined the two could be connected. I’m not entering the giveaway because I did finally have two wonderful sons and am not looking to have any more kids. Hopefully, this scholarship will benefit someone who really needs it. Hi saretta–Welcome to gfe! 🙂 Thanks so much for sharing your story even though you’re not entering the giveaway. I know others will find it helpful. The connections do not get that much publicity and, in some cases, folks would say they are “anecdotal,” but my doctor shares this knowledge with many. And, to me, even if they would be considered “anecdotal,” all that matters is the one person is helped and has a healthy baby, etc. Congratulations on your two wonderful sons! Eeeeep! Thank you so much, both to Donielle and to Shirley for hosting. I’m very excited and already signed up for the course. Thank you!! Wonderful that you are already signed up and ready to go, Leah! I know Donielle will make it a very worthwhile and informative 12 weeks. 🙂 Congrats again!